1. 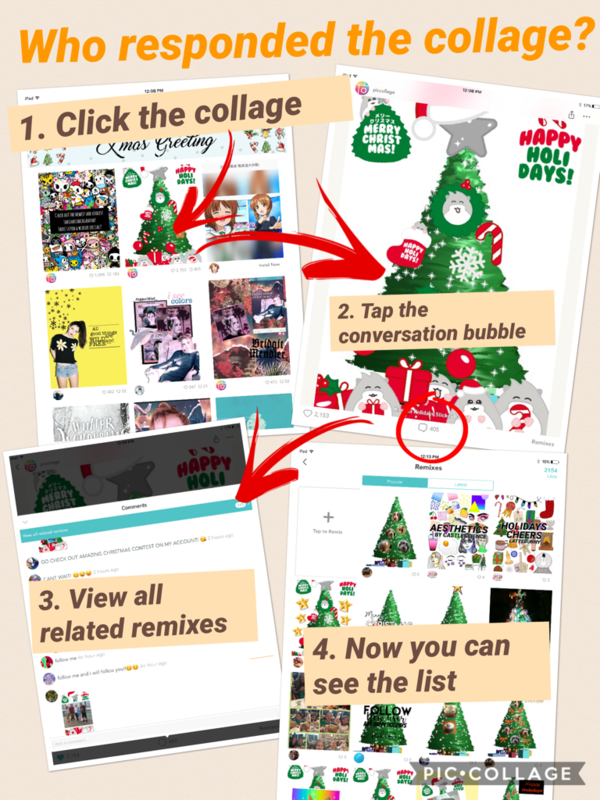 Tap the conversation bubble of the collage you'd like to check. 2. All the text comments you received would show up here. You can also tap "Load more comments" to view older comments. 2. Tap "view all related remixes." 1. Click on a collage that you're interested in. 2. 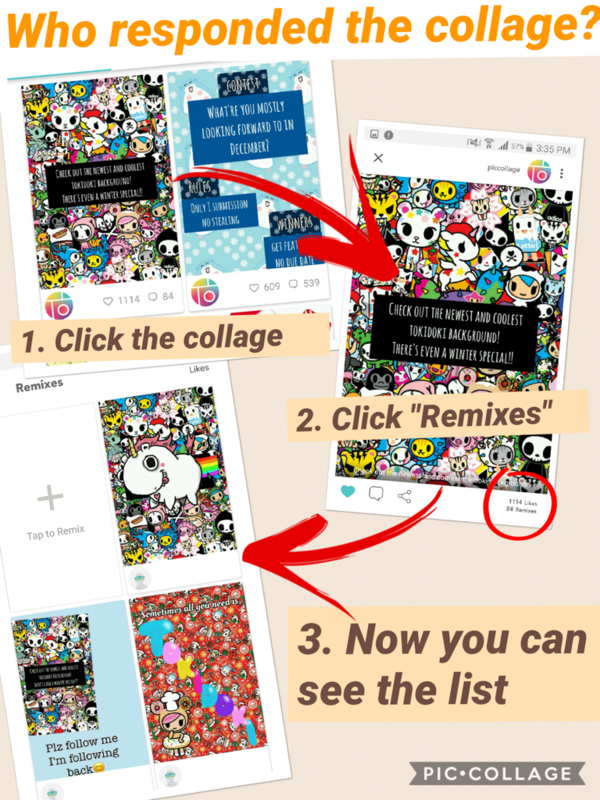 Tap the "likes and remixes" number on the bottom right corner of the collage you'd like to check. 3. Check out the remix list.